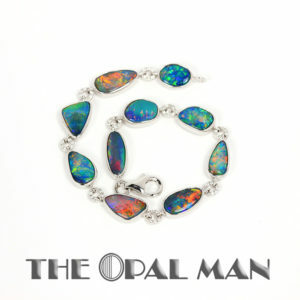 Opal bracelets at The Opal Man in Spring Green, Wisconsin. 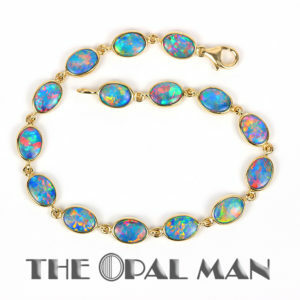 Find beautiful opal jewelry in gold and silver. 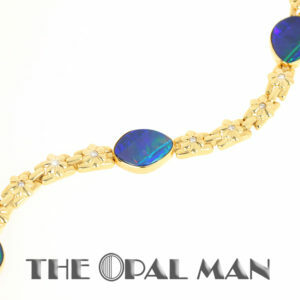 Australian Blue Opal Doublet Bracelet. 14K Yellow Gold–and Diamonds!